Cristo Rey Boston believes that to fulfill its mission of educating men and women of faith, purpose, and service, we must teach our students to engage in the world we live in. Each student at Cristo Rey is called to experience the pains and joys of serving others, living special moments of community, bonding with their classmates, and entering into a personal dialogue with Christ. We seek to help our students discover their personal passion, the kind of passion that fuels a love of life itself. A program called Widening Horizons exposes students to four key experiences to help them discover their passion: arts, talks, outings and service. We believe these to be the basic dimensions necessary to introduce young people to what a mature, meaningful adult life looks like. 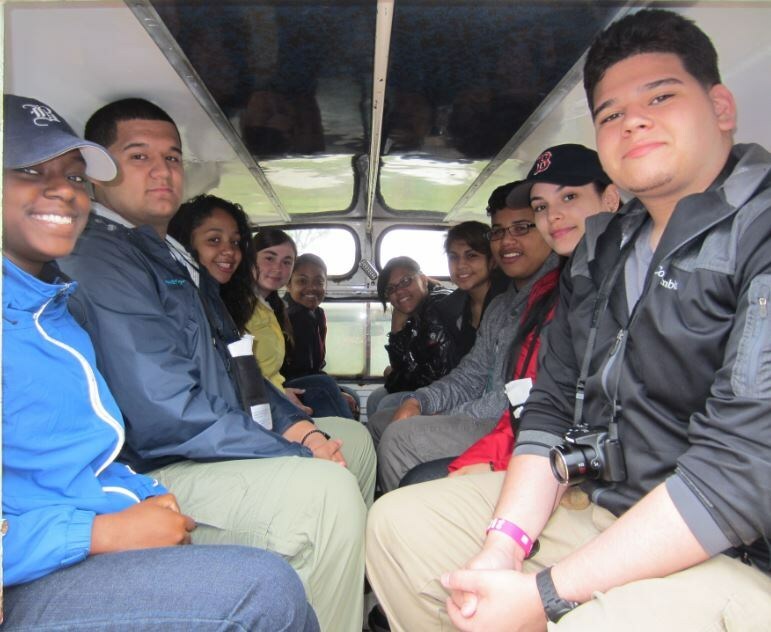 Each year students are able to listen to lectures, visit Boston’s world-renowned museums, attend classical music concerts as well as sporting events, take part in nature outings, and participate in community service projects. Take a look at the CRB EXTRACURRICULAR CALENDAR to stay up to date on all events happening around the school! For more information about the Student Life Activities please contact Pablo Martinez, Director of Campus Ministry & Student Life, at (617) 825-2580 ext. 38, or pmartinez@cristoreyboston.org. Contact Pablo Martinez, Director of Campus Ministry & Student Life at pmartinez@cristoreyboston.org or (617) 825-2580 ext. 38 with any questions about Cristo Rey Boston's extracurricular activities.